There is a lot of political news tonight. We’ll come to that shortly, but we start with a rather unprecedented proposed new law. 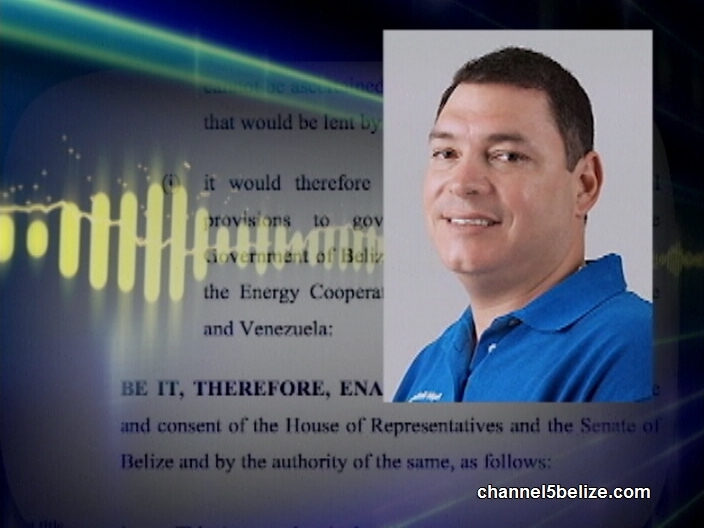 This Thursday, Belize’s Parliamentarians go to the House to debate the 2015-2016 Budget. But even before that gets underway, News Five has gotten wind of a bill which Government intends to pass and it’s a doozy. 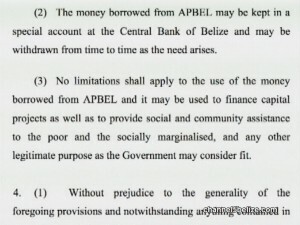 It’s an Act to make special provisions for borrowing money from Alba Petrocaribe Limited, and states that, “Notwithstanding anything contained in the Finance and Audit (Reform) Act, 2005, or any other law to the contrary, it shall be lawful for the Government of Belize to borrow money from ALBA Petrocaribe (Belize Energy) Limited in any amounts without the prior authorisation of the National Assembly.” The proposed bill goes on to state, “No limitations shall apply to the use of the money borrowed from APBEL and it may be used to finance capital projects as well as to provide social and community assistance to the poor and the socially marginalised, and any other legitimate purpose as the Government may consider fit.” Late this evening, News Five got a comment from P.U.P. 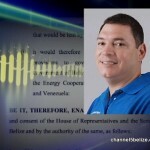 Deputy Leader Julius Espat, who is also chairman of the Public Accounts Committee. And to say that the Opposition is not happy is quite an understatement. 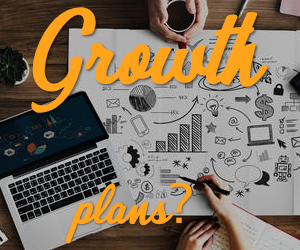 According to Clerk of the National Assembly Eddie Webster, GOB plans to ram the Bill through all its stages on Thursday. Pay raises for the forty! This is dangerous, Barrow legislate the lower court can over rule the higher court now he is legislating the National Asssembly out of his way. Only Cabinet will rule. 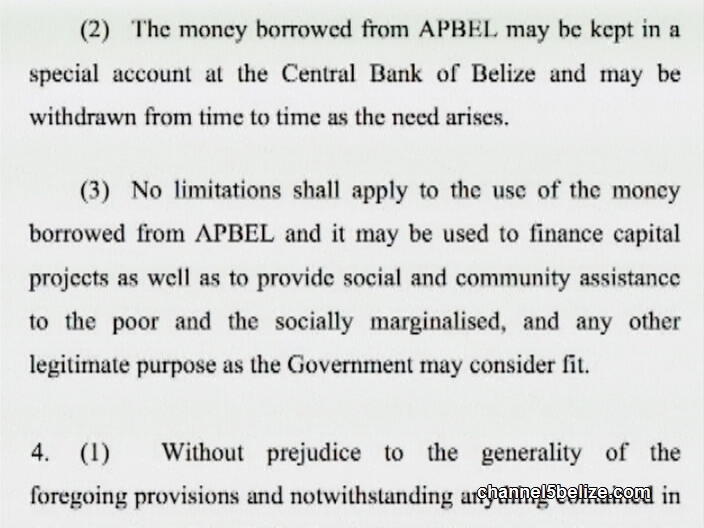 We do not have in Belize or the Caribbean Commonwealth for that matter Parlaimentary Supremacy, we have Constitutional Supremacy. The only rational conclusion that can be reached as to why the PUP just want to sit by and watch as our resource gets legal stolen maybe best captured in Dean Barrow’s proverbial remark of “It is now our turn” While the all the arms of the State are in collusion, we have the CCJ at least to give some impartiality. Come on Mr. Barrow, now you for sure know this is dangerous. You are securing your money pot for next general elections. Too bad the opposition is as crooked as this to be able to stand up against it. Nothing is more dangerous than having a PUP government with Julius in charge. And that is an understatement!!! Tracy Taegar-Panton Says She is Now U.D.P. What Did They Get to Walk Away?